Tesla, Electronica and Aliens -- What Could Go Wrong? 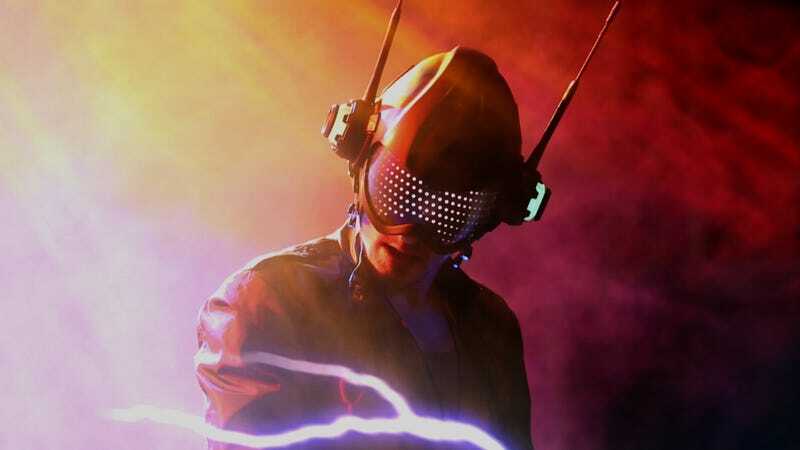 We've got an exclusive look at the trailer for web movie ETXR, which is like Ziggy Stardust crossed with electronica. Some mad scientists have figured out that one of Tesla's secret inventions can communicate with aliens — using electronic music! It's your basic alien rave cult scenario — we've all been there, right? ETXR is the story of Bix the Bug, a DJ who comes into possession of a Teslascope — Nikola Tesla's legendary invention, which he claimed was capable of receiving signals from extraterrestrial worlds. Bix the Bug's music comes from real-life DJ Matt Lange, and the movie starts streaming on Netflix on March 31. You can also get it on Amazon, iTunes, XBOX and on the Sony Playstation Network.